im not so sure if they will fit or not but i do know that they will be wider and shorter than the stock tires. Those tires will likely be quite a bit too big. 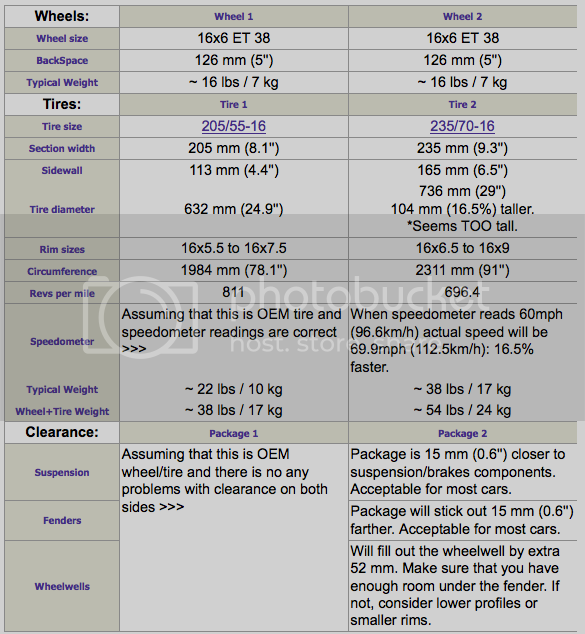 The circumference of a 235/70 R16 is about 29 inches. I believe the maximum front wheel height for a PT is around 25.5 inches. Thank you very much for the replies ...... they look nice on the Montero, I thought they might be a little wide, I was searching for a link but put to many words in the search. It's hard to pass almost new tires if they would work. Here you can see what will happen with the bigger tyres. Is that a screen shot from an online tire calculator? If so, what is the URL or could you provide a link? That's a really nice one. Last edited by Handy_Cruiser; 29 Dec 2013 at 09:48 am. Yes, that's it. I love it !